Anticipation and excitement has grown at Fisker Automotive and with the general public wanting to see the production Karma. 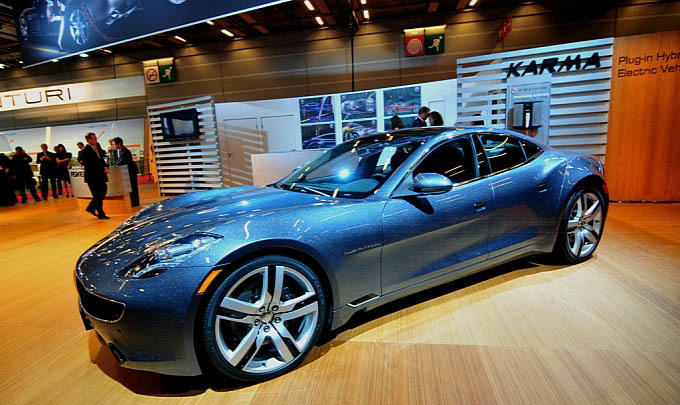 Today, Fisker Automotive unveiled the first factory built luxury plug-in Karma at the Paris Motor Show. resulted in several proprietary designs. strategy is used, resulting in one of the highest yields in the industry. This process is conducted at the world’s first energy self-sufficient, closed loop leather manufacturing plant where both gas and electricity are generated on-site from by-products of the leather making process. sourced from certified fallen, sunken and rescued wood to create a luxurious sensory experience inspired by nature. 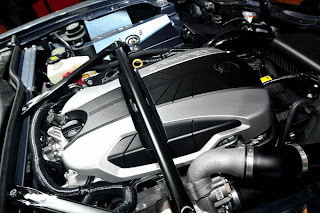 dedication to introducing sustainability and accountability to luxury automotive design - Responsible Luxury. - a very good reason to have kept the Karma’s technical detail under wraps. uncompromised, premium vehicle that sets the tone for the future of driving. Mr.
DB9, BMW Z8 and Artega GT. dimensions remain virtually the same as the concept’s. track reinforce the Karma’s performance orientation even when standing still. rear door-glass panes, which improves aesthetics and reduces wind noise. largest haptic feedback touch screen – elegantly consolidates into a single location controls for automatic dual-zone climate, audio/infotainment, phone, navigation and vehicle systems. shifter, as well as electric window controls, seat heater switches, storage and four cup holders. hours on standard 240-volt current. motors mounted directly to the rear differential. will be built by Valmet Automotive at its state-of-the-art flexible assembly plant in Finland. 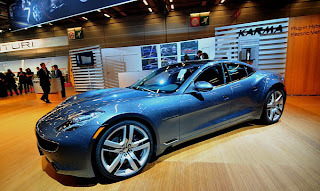 Fisker’s strict requirements of cost-effectively building 15,000 high quality, advanced technology vehicles per year for international markets. the design-driven company’s firm belief that environmentally conscious cars need not sacrifice passion, style or performance. I really like everything about this car except for the silly ricer mesh. Yes, I know they took it directly off the competition cars, but still looks absurd. Also, I may have overlooked it, but I don't think the price was mentioned in the article. Can anyone enlighten me?